Singer Vehicle Design showed off two of their lightweight design concept Porsche 911 reimaged creations at the Goodwood Festival of Speed. These same vehicles will make their North American debut during Monterey Car Week at the Pebble Beach Concours d’Elegance. The special no expenses spared 911 creations are exquisite examples. These vehicles are a result of a partnership with Williams Advanced Engineering. The air-cooled 911 with vintage styling offers 500 horsepower from its flat-six engine. 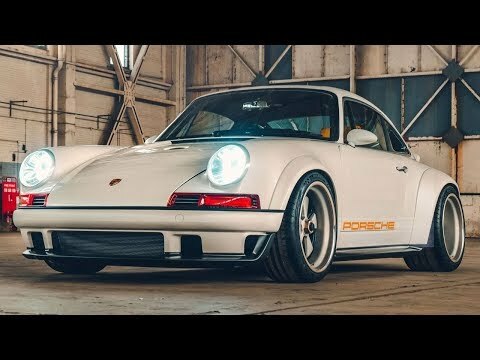 The Singer Porsche 911 is the car that most purists would like a new 911 to be. The flat-six engine sitting out back is offered in 3.6-liter, 3.8-liter and 4.0-liter displacements. But more importantly, all of these options are cooled by God’s good air. The interior is a sea of leather with high quality accent materials. The build is custom to fit you in the most comfortable placement of all controls. In a hat tip to the enthusiast driver, a manual transmission is the only option.